One more Hacker with name "p0keu" leak the database of BPM http://visitbpm.co.uk for Antisec. BPM is the world’s largest event dedicated to DJing, electronic music production and club culture has had its whole database leaked via twitter. 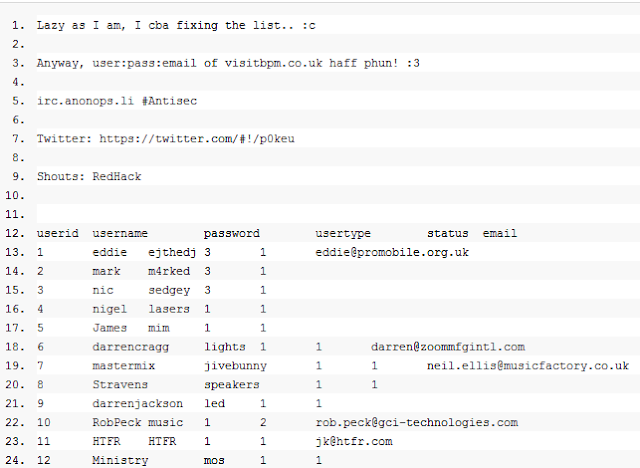 The database is leaked via a pastebin link : http://pastebin.com/qF9nXmgH .